Yellowing, distorted toenails, unsightly warts, age or sun spots, that faded ankle tattoo you now regret—your lower limbs’ appearance can be more embarrassing for you than you might realize. When you don’t like the look of your feet, it’s hard to feel comfortable taking your shoes off, particularly around others. Fortunately, it doesn’t have to be that way. Advancements in skin and nail treatments as well as medical technology can help you take care of problems safely and easily. Laser therapy for medical purposes has been around for many years, but only recently have effective lasers for skin and nail care been approved by the FDA. The powerful Q-Clear™ Laser is a cutting-edge tool with special dual-wavelength technology. This allows the laser to accurately target conditions depending on your needs, from nail infections to skin lesions and other issues. Our foot and nail restoration experts only provide the very best care and treatment options for our patients, which is why Dallas Podiatry Works now offers this laser technology for your lower limb health. Nails can become discolored and distorted for a few different reasons, but the most common culprit is a fungal infection. This infection thrives in warm, damp, dark places, making toenails perfect locations to grow and multiply, damaging the hard keratin along the way. This infection can be particularly challenging to eradicate since you have to get to the root of the problem under your nail and address it there. That’s where the laser can help. The powerful light is beamed at a specific frequency to pass harmlessly through your toenails and target the infected cells underneath. The process is quick, averaging just a minute per nail, and generally painless. Severe infections may need multiple treatments, but many people see an improvement after just one session. The skin on your body can take on a lot of damage over time, and the feet are no exception. Dark spots, warts, lesions, and scars can mar skin and make you feel self-conscious. Old tattoos can fade and look unsightly. Fortunately, the Q-Clear™ Laser can be used to help treat these issues and restore your skin, so it looks healthy and clear again. The powerful light helps remove certain inks and skin growths as well as improve appearance. The treatment is quick and easy, so you don’t have to worry about it interrupting your busy life. Unsightly nails and skin damage can be embarrassing. If you can’t bring yourself to take off your socks and shoes or wear sandals in front of others because of how your feet look, know you don’t have to live this way. You can restore your feet and legs to their natural, beautiful selves. The Q-Clear™ Laser is one way you can restore your skin and nails quickly and safely. 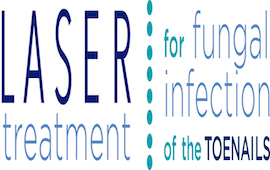 Let our team at Dallas Podiatry Works help you determine if laser therapy for your skin or toenails is right for you. Use our online request forms, or call one of our Texas offices directly to schedule a consultation: (972) 566-7474 for our Dallas location, or (972) 943-3323 for our Plano office.